L-Brackets WC Fixing Set (WC Kit No 6 L Brackets White) is a complete fixings set designed for the fixing of free-standing toilets, bidets and other sanitary items, supplied with white coloured L-brackets and caps. - Application: Free-standing toilets/Bidets/Ceramic shelves/Mirrors. - Building materials: Concrete/Solid sand-lime brick/Natural stone with dense structure/Solid block made from lightweight concrete/Solid brick. - Screws with hexagon head and slot. - The large nylon snap-fit sleeve compensates for fairly large or slightly mis-formed holes drilled through the porcelain/ceramics; its large collar prevents contact between the screw and ceramic to reduce the likelihood of damage during fixing. 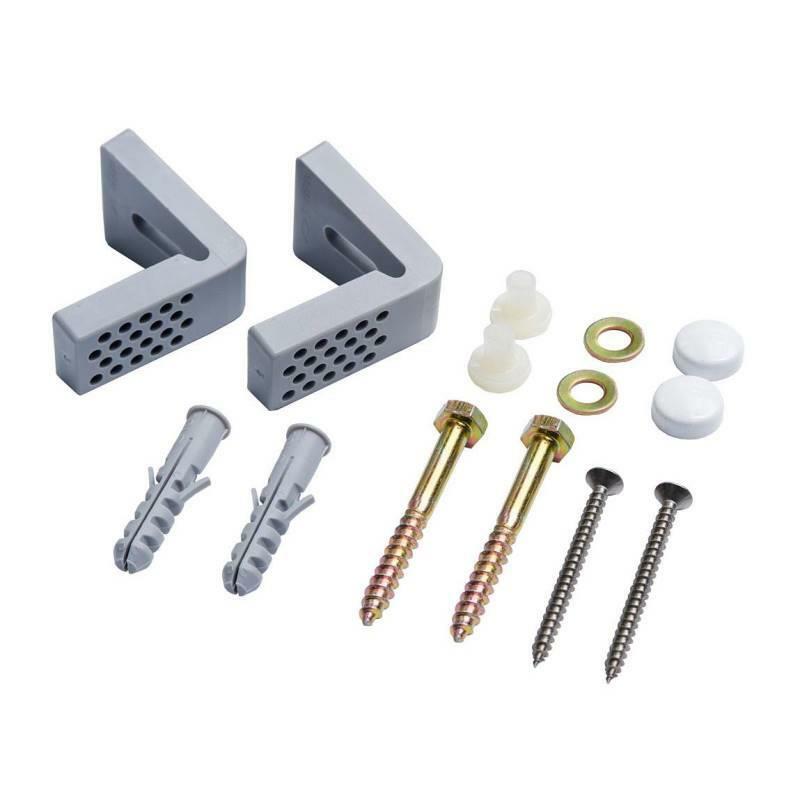 - The L-shaped assembly brackets with pre-drilled rows of holes allow for a flexible fixing with two directions: L-bracket is flexibly positioned on the base using the long hole, the ceramics are then fixed to the bracket via the rows of holes - these counterbalance any height differences in the ceramic assembly holes. - 2 x 4.5 x 45 Chipboard Screws. This set is an equivalent of the Fischer WC Fixing Kit WB 5N. Please note: The Image is for illustrative purposes ONLY.